By becoming a member of the American Sternwheel Association, you will join us in our to pursuit of 'Helping to keep alive that precious bit of Americana, the Paddlewheel Riverboat'. Dues are only $25 per year and only $5 per year for each additional family member. 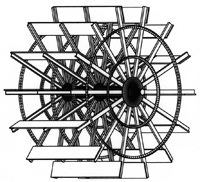 You do not have to own a paddlewheel boat to be a member of the ASA. To Join or Renew, choose either Online or Mail.